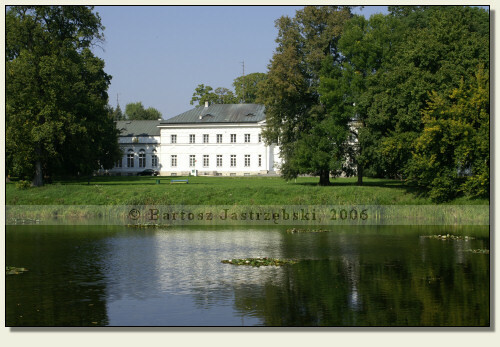 Dęblin is a relatively large town on the border of the Lubusz and the Masovian province. 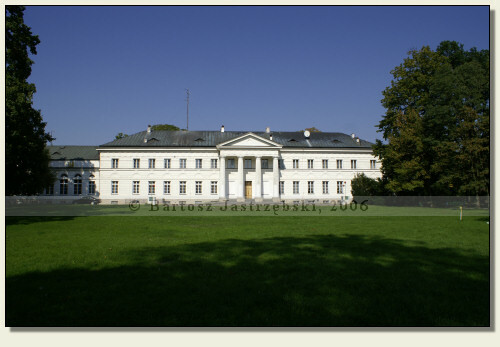 In order to find the palace you need to enter the town from the west side, down the road no 48 from Kozienice and follow the main road all the way long. After driving past under the overpass there stands a very odd church on the left side of the road. Right before it there is a junction, at which you must turn right. Then drive straight ahead till you see the lake on the left side of the road. 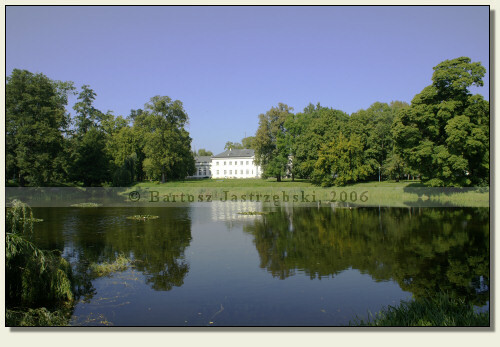 In the interior behind the lake a palace can be found. 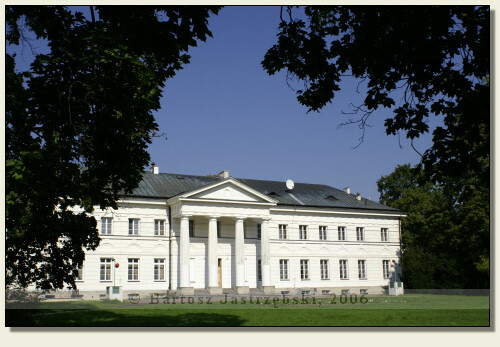 The palace in Dęblin arose before 1747 in place of the former building. Probably at this place already in the XVIth cent. existed the residence of the owner of the local lands. Not much, however, is known about it. The XVIIIth century palace was seen too often by the owners, since already in the 70s and again in the 90s of the XVIIIth cent. it was converted. The following conversions took place in the middle of the XIXth cent., whereas in the 20s of the XXth cent. the building had to be reconstructed after the fire from 1915. The next war brought about a new fire and another rebuilding from the 50s of the XXth cent. The palace clearly drew fires, because another one took place in 1981. At present it is the military area.